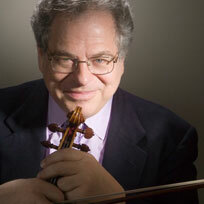 Itzhak Perlman performed a recital at the San Francisco Symphony Davies Hall, January 18, 2015. Performing with him was Rohan De Silva, the extraordinary pianist who is his musical partner throughout the program. It is pointless to search for sufficiently exuberant and extravagant superlatives for this performance, though they are needed. Too many of the great adjectives have been worn out on cars and soap. It was a privilege to be in Itzhak Perlman’s audience. His program selection was an art in itself. Beethoven’s Sonata No. 8 in G major, Opus 30, no. 3 was a delight; even its complexity was playful as well as beautiful. It demanded masterful speed, precision and understanding from both instruments as they sing to each other gently and when they spin and whirl the sound. Following the Beethoven Sonata No. 8 came Grieg’s Sonata No. 3 in C minor for Violin and Piano, Opus 45. This a surprising, great piece which was not known by this listener. It rewards the audience with layers of emotion which sweep the rhythms and almost tumultuous music to suggest a hidden narrative. Grieg brings in his Norwegian folk music and dance for moments of pleasure before ending with explosive energy. It was a brilliant pairing to have these very different sonatas in the first half of the recital. The second half was devoted to Sonata in G major for Violin and Piano by Ravel. The Ravel piece truly stands apart. In it, Ravel revels in syncopation, harmonies from the blues, and a kind of anxious interplay or lack of interplay between violin and piano. At times, the piano seems to be channeling Count Basie or earlier rag time pianists and composers. While the pianist is inhabited by this spirit, the violin could be said to be on its own except that Ravel so surely has connected them in their differences: in the time that comes between each beat, the tone that only happens because of their different notes. It was a fascinating, exciting work which did not try to imitate jazz but showed ways that Ravel had made jazz properties his own. What came next is only typical of Itzhak Perlman, the great artist who is also the great human. After at least 6 curtain calls, Mr. Perlman, Mr. De Silva, and the page turner who re-entered carrying a tall stack of music scores settled in place. Mr. Perlman played encores for half an hour. The audience would happily have stayed for more. His encore choices were dazzling, virtuoso pieces mostly transposed for the violin by Fritz Kreisler and Jascha Heifetz. He also performed the theme music from the movie, Schindler’s List for which he collaborated with composer John Williams as the violin soloist. Between each presentation, Mr. Perlman regaled the packed to the rafters hall with pleasantly silly commentaries. He is a man of many sides: superb, supreme musician; dedicated teacher; deeply knowledgeable world cultural leader; a good man. Look on his website. You will see a video of him teaching a master class rather than a video of him receiving awards or performing in a great hall. This season he will perform recitals with Mr. De Rohan in Boston,Toronto, Los Angeles, New York, and conduct the Israel Philharmonic and Houston and Seattle Symphonies. What could one possibly do that would be more fun and more inspiring than to be in Itzhak Perlman’s audience? This entry was posted in Hedgehog Highlights and tagged Beethoven Violin Sonata No. 8, Fritz Kreisler, Grieg Sonata No. 3 for Violin and Piano, Itzhak Perlman, Jascha Heifetz, John Williams, Ravel Sonata in G major for Violin and Piano, Rohan De Silva, San Francisco Symphony, Schindler's List on January 22, 2015 by Leslie.